AFTER more than two weeks of exciting contests, the 2016 Olympics in the Brazilian city of Rio de Janeiro (里約熱內盧) closed on 21 August. 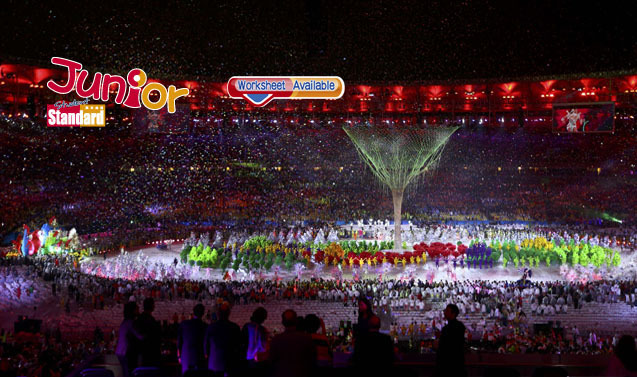 In a colourful ceremony that resembled a carnival, Olympians poured into the Maracana Stadium under light rain, waving their national fl ags. Many shook their bodies to samba-infused pop. “These were marvellous Olympic Games in the marvellous city,” said International Olympic Committee (國際奧委會) president Thomas Bach. moments, both for Brazilian competitors on their home ground and athletes from around the world. Brazil’s football team won their fi rst Olympic gold two years after a humiliating 7-1 defeat to Germany in the World Cup semi-final. Michael Phelps added fi ve more to take his staggering total of swimming golds to 23, but lost his final solo event to Singaporean Joseph Schooling. But there were also ugly and bizarre episodes which sometimes overshadowed the Games. Four American swimmers made up a story about a robbery that was actually a drunken vandalism of a petrol station toilet. And some diving pools turned green because of algae growth.